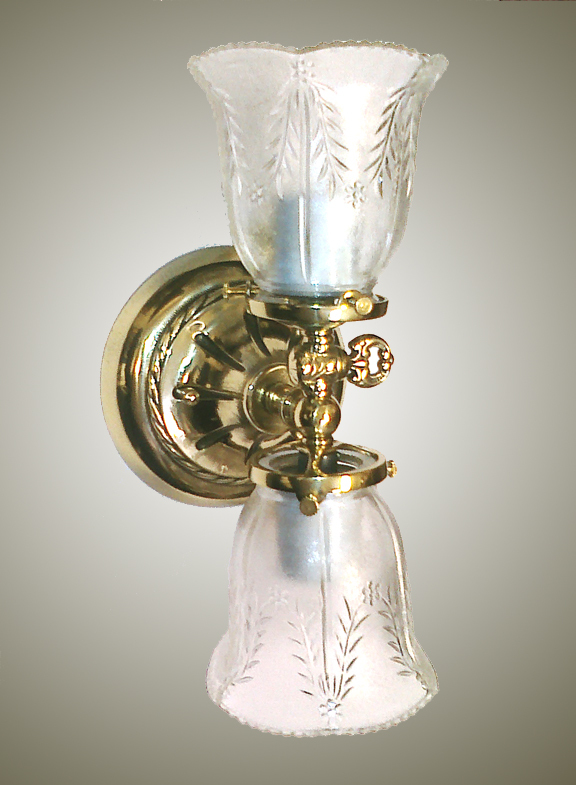 A different take on the NS18, this reproduction of a double vintage gas light fixture with a change in back plate and metal color. Note how it changes the entire look! Complete with realistic gas key, this model offers plenty of light and outstanding design! Also pictured with a lovely smaller sized 2in. 'Wheat Glass'. Solid cast brass construction. Width 5.5 In. / Projection 6 In. / Depth 12 In.